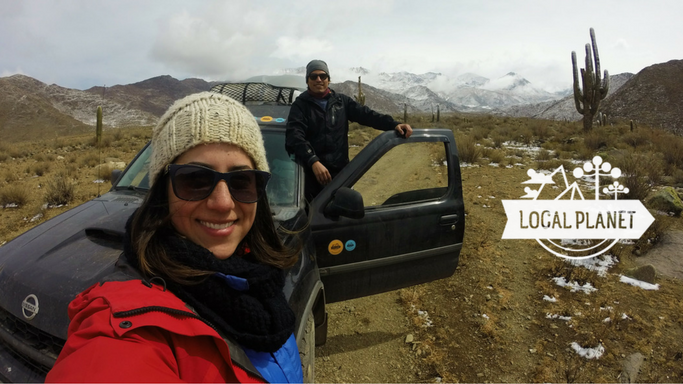 What happens when two people crazy about trips, sports and entrepreneurship get together? The Local Planet is born! We put together the dream of taking a long term trip, with the purpose of sharing knowledge about our professional areas. That’s how the free itinerant Digital Marketing courses popout. 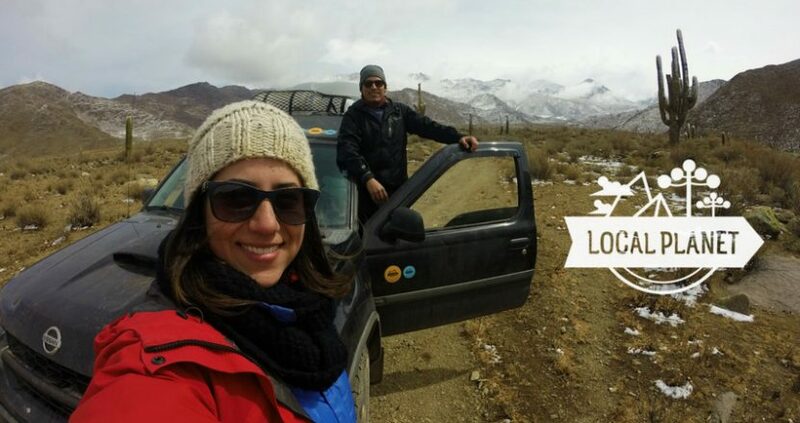 With this missions, we left on a tour throughout South America, driving 6 months and for more than 20.000 km! 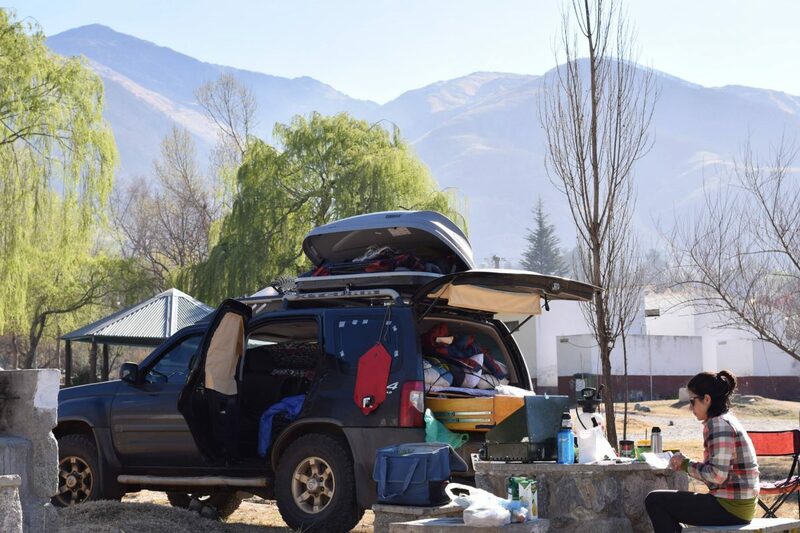 There were 5 countries in the itinerary: North of Argentina, Atacama Desert in Chile, all Bolivia, South of Peru and part of our beautiful Brazil..
Everything on board of a pick up truck and wheel home, designed and adapted by ourselves. Our pick up truck Nissan Xterra, that we turned into a camper, has a double bed, complete kitchen and trunk (so as to keep all the trip accessories and climbing gear).So we left seeking for personal development through local experiences, rock climbing, mountaineering, meditation retreats, volunteer work and everything else the journey journey may have reserved for us! 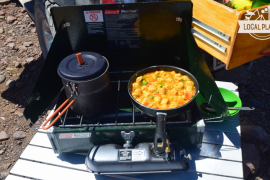 For this first journey and round of itinerant courses, we left in August 2016 and came back in February 2017. We can only thank for all the incredible thing and exchange opportunities the project has provided us! I am Gabriel, 31, born in Vitória in Espírito Santo and raised in Foz do Iguaçu in Paraná. I’ve been working as a lawyer for 7 years at the triple border region and in the academic sphere have achieved a master’s degree at Berkeley University in California. After 12 years of experience in rock and alpine climbing, I decided to take the adventure further with a project that conciliates my career and passion for exploring the world. I am Manu, 31, from Foz do Iguaçu. In the professional background I bring Journalism as graduation and for more than 10 years Digital Marketing as a profession (8 of them in my own business, the agency Enlink). I am also a speaker and teacher of Marketing courses. 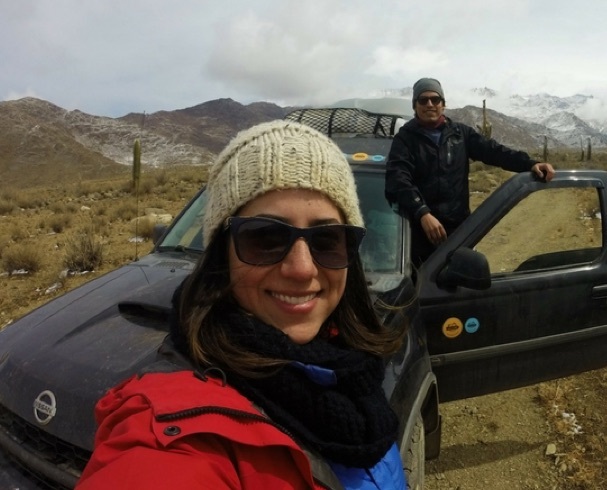 The travel background includes backpacking, beautiful experiences travelling by myself and a motorcycle adventure until Peru with my father and brother. Travelling on a wheel home is an old dream and doing it in America do Sul, with my love, has been of the most amazing journeys! Bringing this two worlds together I learned to be digital nomad, giving courses and managing Enlink from distance – and it’s been awesome! Enlink is an agency specialized in Digital Marketing, founded in 2009 by Manu from Local Planet. Our portfolio includes customers like CVC, Skyscanner, World Championship of Slackline and SkydiveFoz. We from the staff are involved since the foundation of the Local Planet, creating and editing content, with design and optimization for Google. During the trip of Manu and Gabriel, we kept full stream work at our office in Foz do Iguaçu, while the go on as digital nomads on the road! It is important to notice that travelling is not limited to leisure and rest. Actually, it can go much further than that. It’s about experiencing the life cycles in reality, the many environments in different seasons. Passing through distinct places, political, social and cultural experiences. Relating with people, learning with their points of view in the reality they live in. Experiences that put us daily to face the reality, at times very distinct from everything we see on the newspaper, school and universities. On this timeless seeking to turn trips into life experiences, we want to go beyond sharing new adventures. Also showing that there is always something important to learn (and teach) everywhere we go. We are always searching for unique experiences and getting to know very well the place we pass through. 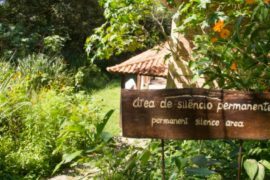 So we always look for alternative itineraries on the internet, friends that also enjoy adventurous tourism, other travellers that we meet on the way and specially with local people. Therefore, we want to invite you to collaborate with Local Planet! You can be part of this project writing a post or giving us tips, so more people will have the opportunity to have the incredible experiences you have in this places. 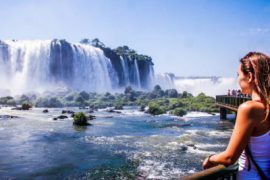 We, for example, have already received contributions of Fábrio Hirata about restaurants in Puerto Iguazu – Argentina and tips of Feña and Pauline, local from San Pedro, that complement the Atacama Desert guide. Cheer up to enjoy this this chain for the good and collaborate at this page! Community and Sustainable Tourism During the trip we have seen that the tourism made local communities is a great option for sustainable development. 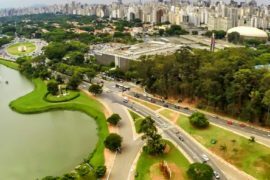 An alternative to the extensive exploitation of natural resources, like diversion of water for giant plantations of soy or maize and deforestation for cattle grass (which we have seen a lot even tough driving in Brazil). Besides, a way to preserve native cultures and promote authentic experiences for travellers! It’s a win-win relationship. 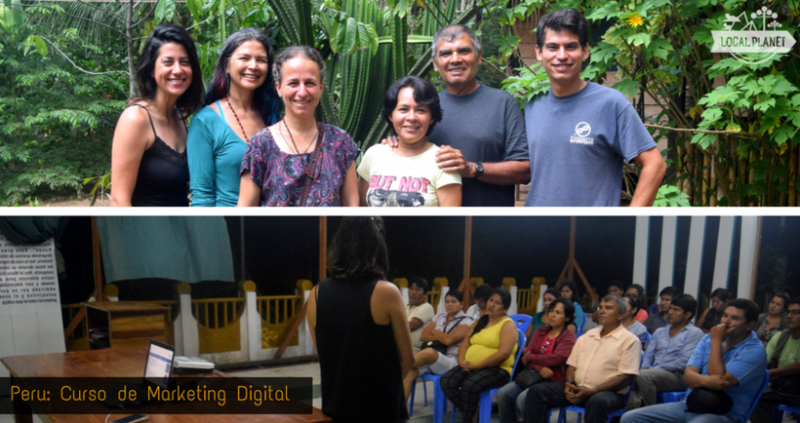 In order to promote local initiatives and sustainable tourism, we publish at Local Planet and also give free trainings for small business owners, sharing our experience with Digital Marketing. 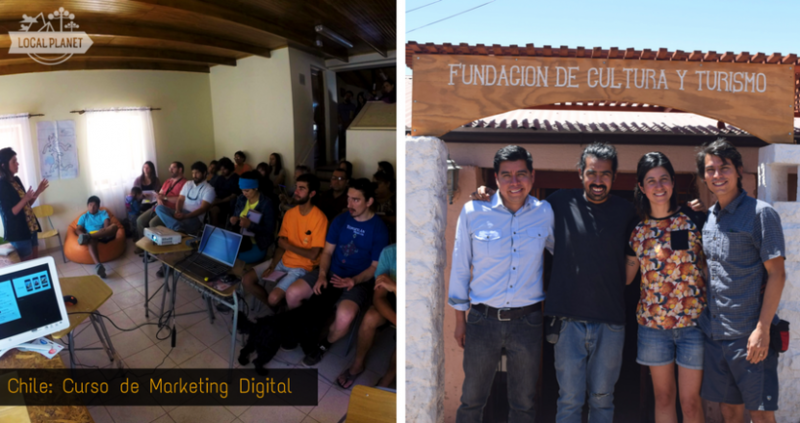 During our trip, we organized this Digital Marketing courses, with the intention of promoting local business. Our courses are free of payment and ministered by Manu, which is the founder of the Digital Marketing Agency Enlink and professional in the area for more than 10 years. The course was awesome, since it was done with lots of devotion and even took time answer all the questions at the end! They helped us a lot with many tips of online tools and suggestions to have a better optimization of our website. For now all the trip and project has been funded by our own resources and with the spontaneous collaboration of some people, that have welcomed or made something easier for us. Sowing these first seeds, we saw there are many entrepreneurs making effort to publicize their destinations and business, but with the limitation of having little or any knowledge about Marketing. 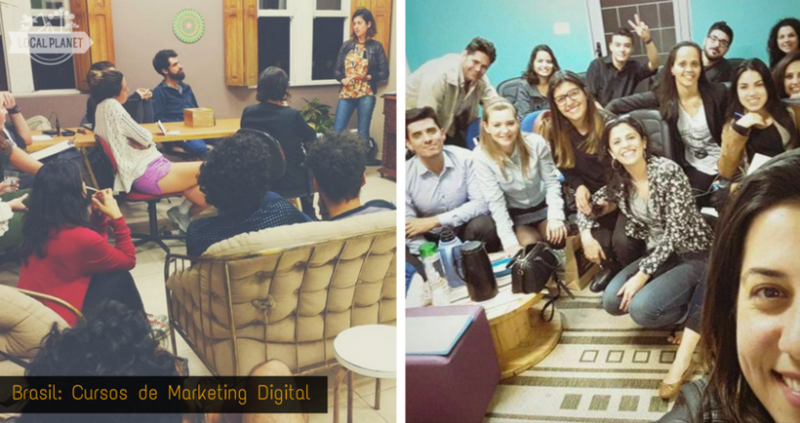 That’s why we realize that the Digital Marketing Courses are a great tool to help reversing the score of small business, such as community and sustainable tourism, for being something very democratic and changing! We intend to move on and therefore we look for enterprises sponsorship, with whom we can add and impact in more communities! [Video] Why We Are All Addicts? And How Meditation Can Help? Foz do Iguaçu naturals, B-side tourism and adventure travelers. The idea is to travel in our city and be local around the world! We set out for personal development through local experiences, rock climbing, mountaineering, meditation retreats, volunteer work and everything else the trip may have saved for us!